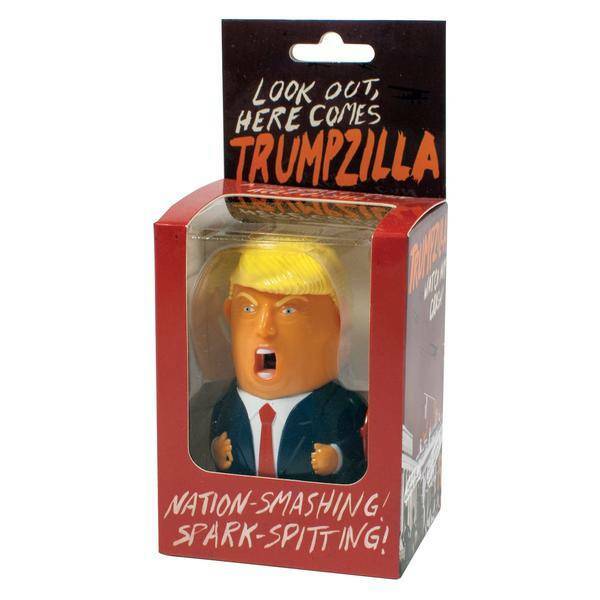 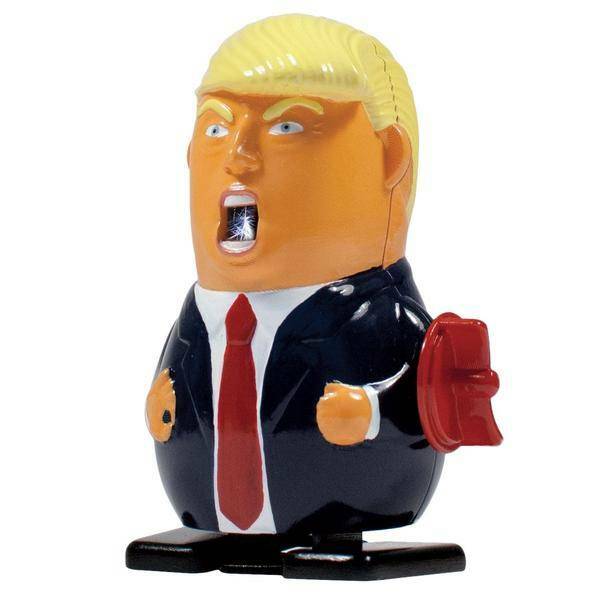 Wind up Trumpzilla and watch him trample trade deals, destroy climate agreements, step on allies! 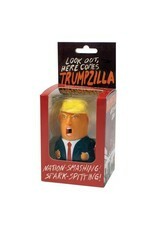 Just like the real Trump! 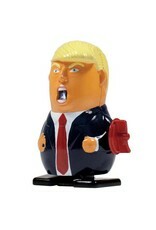 Don't worry, this Trump can't grab anything.